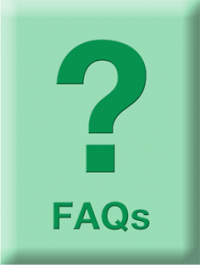 Click to expand FAQs below on cellular lease values, buyout lease acquisitions, typical termination provisions, tax benefits and more. How are cellular ground lease values determined? There are a number of factors that affect site lease values for specific cellular sites. For carriers, this is a business decision based on: location, how much volume the site carries, how strategic is the location to them and what would be the cost to replace the cellular site. Simply put, if this is a busy cellular site in a location that would be difficult to replace, it is going to demand a premium price. Consider these items. Revenue potential of the cellular site – How much does the site add to the service area, capacity or quality of service for the cellular companies? The more money the site enables the cellular companies to make, the more they are willing to pay for the site. Large sites that carry a lot of antennas in highly populated areas generally will have higher cell lease valuations. Cost and ease of building the cellular site – How easy and expensive would it be to replace your cellular site? The availability of suitable sites in an area, accessibility, construction costs, plus the cost of real estate all go into determining the value of a site. Zoning and permitting issues can significantly affect a site valuation as it is generally much easier to add equipment to an existing site than it is to go through the whole zoning and permitting process, especially in residential sites and highly populated urban areas. Strategic Importance of the site – Does this particular site allow the cellular companies to serve more people, to be more competitive and to provide better service? Is the site in an area that of great potential growth for the carrier? Is it in an area that they have historically been lacking or one that will help the carrier to be more competitive? If you are interested in obtaining more information about the factors that affect the value of your cellular ground leases along with a free valuation of your site, contact a Crescendo lease adviser at 203.972.3200 or click here. What is a cell tower lease buyout or lease acquisition? Cell towers and other cellular sites, such as water tanks, building rooftops and church steeples, are generally built on property that wireless carriers lease from individuals, businesses, organizations or government entities. These multi-year ground leases enable carriers to build and maintain their equipment on the property for the period of the lease in exchange for a series of monthly rental payments to the property owner. Sometimes a property owner decides that instead of smaller monthly rents from their leases, they would prefer to get more of their money faster with a large immediate cash payment for the value of their leases. This is known as a lease buyout or lease acquisition. In this case, the owner of the cellular ground lease sells their ground lease to Crescendo Capital Partners or another lease acquisition company for a price that is mutually agreed upon. They owner continues to have ownership of their property; the cellular tenant continues to have access to and use of their tower. Crescendo Capital Partners assumes the ownership of the leases and the future payment streams of the leases. How likely is it that my ground leases could be cancelled? It is not likely that your cellular lease will be terminated, especially if you live in an area where there is a growing demand for cellular service. But it does happen. A lot depends on the competitive situation in your area and whether there will be further consolidation among carriers. If you would like some more detailed information on your specific situation, one of our knowledgeable professionals will be happy to help you. Just click here, or call 203.972.3200. Why do property owners sell their cellular ground leases? Cash needs – The large cash buyout from a ground lease sale can provide resources to cover large expenses or purchases like: college tuitions, second homes, medical bills, home expansions, business opportunities etc. Eliminate risk of rent reductions or lease cancellations – Some site owners determine they would rather have the security of a cash payout rather than worry about the likelihood of rent reductions on their cell site leases or possible lease cancellations due to cellular company consolidations or new technologies that might reduce the need for their tower. Are there any cell lease tax benefits if I sell my cellular lease? There are likely to be some tax savings associated with the sale of your cellular ground lease. In the majority of cases, your monthly rental payments are treated as ordinary income and taxed at that rate. Your rental income could also be pushing you into a higher tax bracket every year. Upon the sale of your ground lease, the cash payment that you receive may be treated as capital gains and taxed at the lower capital gains rate. The cellular ground lease advisers at Crescendo can provide you with some general information about this, but you will want to consult your CPA, attorney or tax expert to determine how your individual situation will be handled. You may also be eligible for a 1031 exchange if you meet those requirements. This could enable you to defer the capital gains on proceeds from your cell lease buyouts when the income is tied to the purchase of another income producing property. To find out more about tax issues, please inquire with your Crescendo lease adviser and your tax adviser for more information about your specific situation. In addition to a single large lump sum payment, are their other payment options available for a cellular ground lease sale? Different site owners have different needs and preferences when it comes to receiving the payment for their cellular leases. Some owners prefer to receive their payoff as a structured, multiyear payout over a period of 3- to 5-years. For municipalities and estate tax planners, this type of payoff can often better fit their budgeting and planning needs. Other site owners may prefer to get a portion of their cash payout at the closing of the sale of their site and then participate in partnership with Crescendo in possible future revenue streams from new leases to their site. This combination of liquidity and upside potential enables them to access needed cash, avoid possible rent reductions and cancellations and enjoy additional payments in the future. What are the typical termination provisions in a cellular lease? There really is no “typical” termination provision in a cellular ground lease. Every lease is different and the termination provisions are negotiated and agreed to prior to the signing of the initial ground lease. Often the lease gives the tenant (cell company) the right to terminate their lease at any time for any reason with as little as 30 days notice. Other leases may require longer notification periods. Some leases may even contain a termination fee, which is often a few months of additional rent. If you have questions about your cellular ground lease, a Crescendo lease adviser will be glad to lend you some assistance. You can contact us by calling 203.972.3200 or click here. What happens to my property if I sell my cellular ground lease? Actually nothing happens to your property if you decide to cash in and sell you cellular ground leases. You continue to maintain ownership of your property. Your tenant (the cellular carriers) continue to be bound by all of the restrictions and requirements in your original ground leases. The group that acquires your ground lease is bound by the provisions of your site acquisition agreement. In addition to a single large lump sum payment, are there other payment options available for a cellular ground lease sales? Different cellular site owners have different needs and preferences when it comes to receiving the payment for their cellular leases. Some owners prefer to receive their payoff as a multiyear payout over a period of 3- to 5-years. For municipalities and estate tax planners, this type of payoff can often better fit their budgeting and planning needs. Other site owners may prefer to get a portion of their cash payout at the closing of the sale of their site and then participate in partnership with Crescendo in possible future revenue streams. This combination of liquidity and upside potential enables them to access needed cash, avoid possible rent reductions and cancellations and possible additional payments in the future.